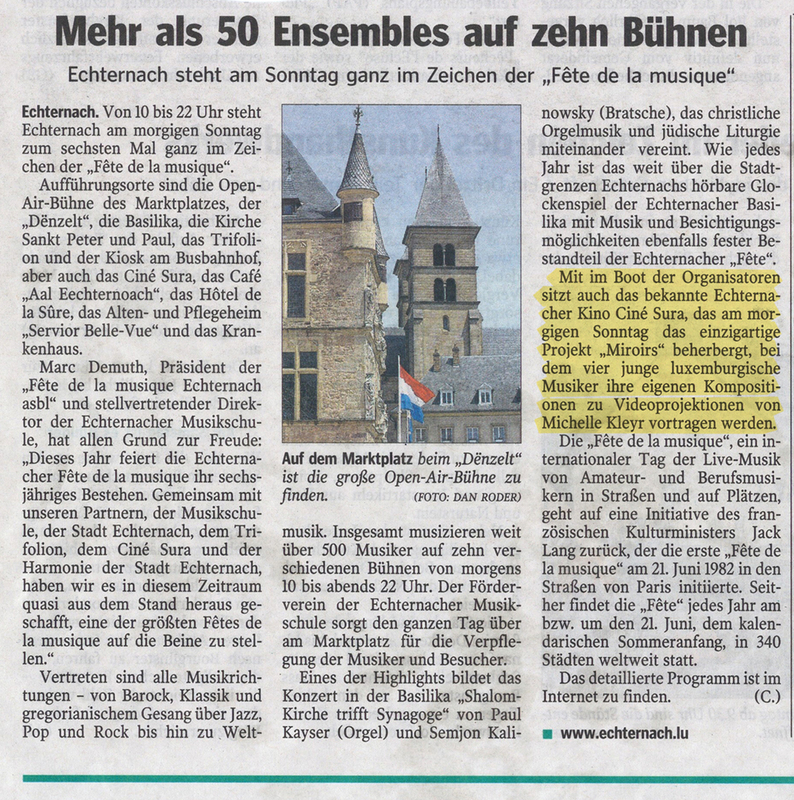 Collaborative live project, consisting of live music with video projection, created for the fête de la musique d'Echternach 15 June 2014. 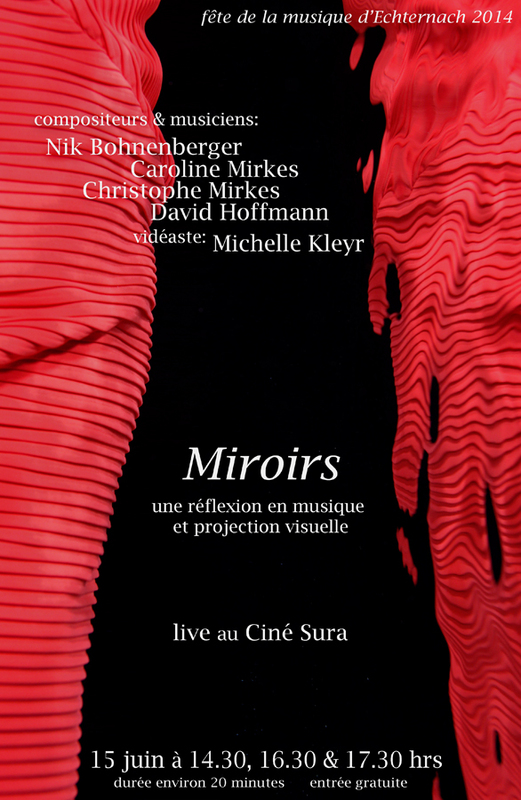 Music in three acts composed by Christophe Mirkes, Caroline Mirkes and Nik Bohnenberger, performed together with David Hoffmann. 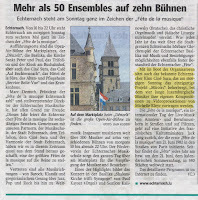 at the Trifolion in Echternach/ Luxembourg and gives you an overview how the five videos I created for the event looked on stage. Collaborative project together with Sieglinde Nies, Marianne Pacitto and Caroline Mirkes. One of the five videos that were integrated into the dance event on the 4th of December 2015 in Echternach. In this part the girls of the eldest dancing class tried out some moves underwater. I will post an extract of the filmed show in short, so keep checking this place!